For Alisa: Born in San Francisco, I grew up in both Marin County and Squaw Valley. Married in 2004, my husband Luca, son Elio, daughter Ave, and I live in Squaw Valley with our 2 dogs. After skiing competitively for the Squaw Valley Freestyle Team, I went on to graduate from the University of Nevada in Reno with a BA in Geography. North Lake Tahoe is a wonderful environment, a playground and community that I feel fortunate to call home. 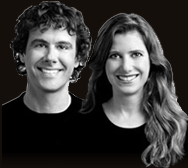 Over 25 years combined experience in Lake Tahoe real estate gives us the knowledge to help you. As the top producing agents for our previous firm, we closed approximately 14 million in real estate sales each year in both 2007 and 2008. We hope you will also want to read our Client Testimonials to find out what they think of the Tahoe Dream Team. While Vice President of Pacific West Chemical Corporation for ten years, I managed sales, shipping, and accounting for large government contracts. Within my profession as a Realtor and NV and CA broker associate for twelve years, I have had the opportunity to sell all types of properties, from large acreage parcels to Squaw Valley luxury homes to Incline Village lake homes to Truckee family homes. My knowledge of our diverse area helps me to match a buyer’s personal situation with the right vacation home or investment. I am currently a director on the Squaw Valley Municipal Advisory Committee to Placer County, an appointed position from our county Supervisor. I previously served 8 years on the boards of both the Squaw Valley Property Owner’s Association and the Squaw Valley Mutual Water Company. Luca and I are members of the Squaw Valley Property Owners Association, Squaw Valley Institute, and Friends of Squaw Creek. We truly enjoy this enthusiastic community with its continually increasing opportunity. My favorite activities in Tahoe are the free concerts in the park in Tahoe City, mountain biking, children’s parks and beaches, rock climbing, public lectures, running, and all types of skiing. I am eager to introduce others to our mountain community, with its majestic peaks and beautiful lake basin. Let me guide you through our mountains of real estate, I promise a smooth and pleasant journey of discovery. Give me a call at 530-583-1354 or email me to see if I am the right guide for you. "We are so pleased that we met Luca when we came up to the Tahoe area. He helped us both buy and sell in Tahoe-Donner. His unwavering devotion to client service is unmatched. We would highly recommend him... continued"